BOONE, N.C. - March 30, 2015 - PRLog -- In response to the latest ‘buzz’ in the world of Beekeeping concerning a new gadget claimed to simplify honey harvesting, North Carolina resident, Dr. Joseph A. Resnick of Lenoir, has proposed an immediate study of what developers are calling the “Flow Hive”. Dr. Resnick, a former NASA Scholar and Scientist, is the inventor of a number of eco-friendly oil spill cleanup products and bee treatments that use 100% natural beeswax as the active ingredient and is no stranger to Beekeeping. In response to a Call for Research Proposals from the American Bee Federation of Atlanta, GA, Dr. Resnick announced that he has submitted a research proposal geared to undertake a comprehensive study of the ‘Flow Hive” apparatus produced by a father and son team in Australia. For more information about the Flow Hive see HoneyFlow.com. 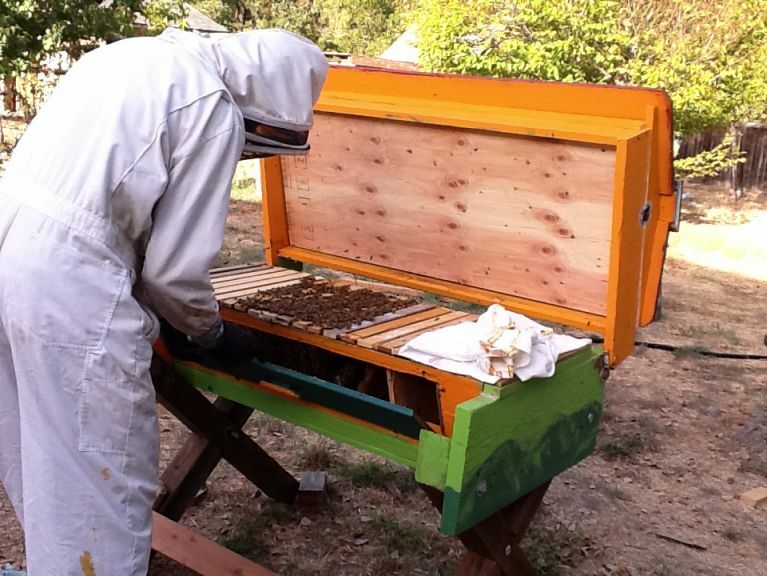 According to the inventors the Flow Hive makes the tasks of harvesting honey very simple due to design of a new kind of frame that is slotted and can be opened inside the bee box to release honey which falls into a collection tube and flows out of the bee hive without disturbing the bees. Dr. Resnick’s interest in Apiculture and bee byproducts is longstanding, spanning a period of nearly thirty years. While working with NASA in the late 1980’s, Dr. Resnick discovered that beeswax could be used to clean up oil spills and do it better than potentially-hazardous chemicals called, surfactants. Resnick’s work with bees, both melifera (common honey bees found in North America) and the melipona (stingless honey bees found in the Tropics), continues to this day. In December, 2014 Dr. Resnick announced his creation of ‘Designer Honey’ that is produced by both stingless bees (melipona) and common honeybees (melifera). A story about the breakthrough was published in the Asian Food Navigator on December 9, 2014 and can be viewed at http://www.foodnavigator-asia.com/Policy/Diabetic-health-honey-a-reality-thanks-to-nanotechnology-and-stevia . Dr. Resnick said, “My Colleagues in Brisbane, and Singapore, report that they have seen the new “Flow Hive” in operation and at outset the device looks pretty impressive. However, they reported some minor ‘bug’s’ with the actual cranking apparatus but developers say that they are working on addressing those minor design changes. I must admit that, speaking as an ‘Old Beekeeper’, if the Flow Hive works as shown in the videos it will save beekeepers a lot of hard work, time and money. The bees could be benefitted as well because the hive is not disrupted during the honey harvesting activities”.